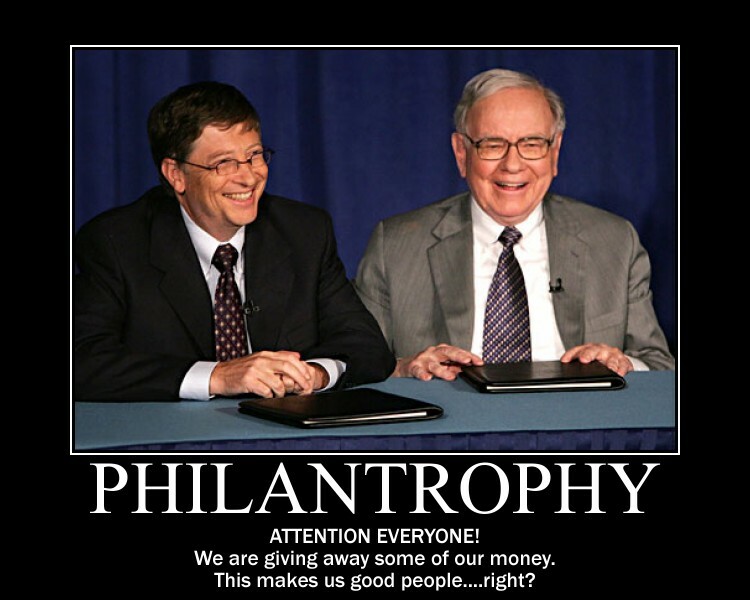 Friendly Fire: Who did Warren Buffet and Bill Gates wrong? Who did Warren Buffet and Bill Gates wrong? It seems like every week there is at least one article where Bill Gates and Warren Buffet once again announce to the world how they are giving away their fortunes (here is the latest). Why are they constantly making such pronouncements? I think they are doing this to get reassurance from others that they are good people. Why do they need this reassurance? My guess: their fortunes were not amassed in the most honest and wholesome way. I do not have proof of this so this is strictly a guess on my part. If a man acquired his wealth honestly and without cheating another person I believe he would not have the desire to give all his money away or to make grand announcements when he did give some money away. He would quietly (i.e anonymously) donate his money to what he deems worthy causes. 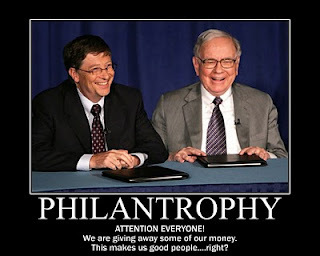 So Mr. Buffet and Mr. Gates: please make amends with the people you've wronged so I don't have to continue to be bombarded with articles about your philanthropy. Thanks.